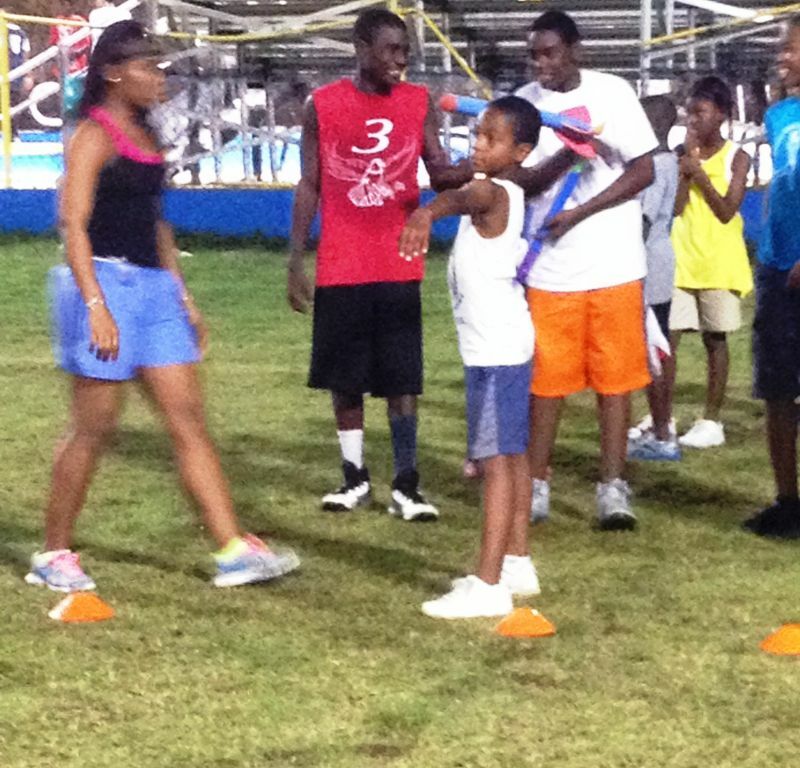 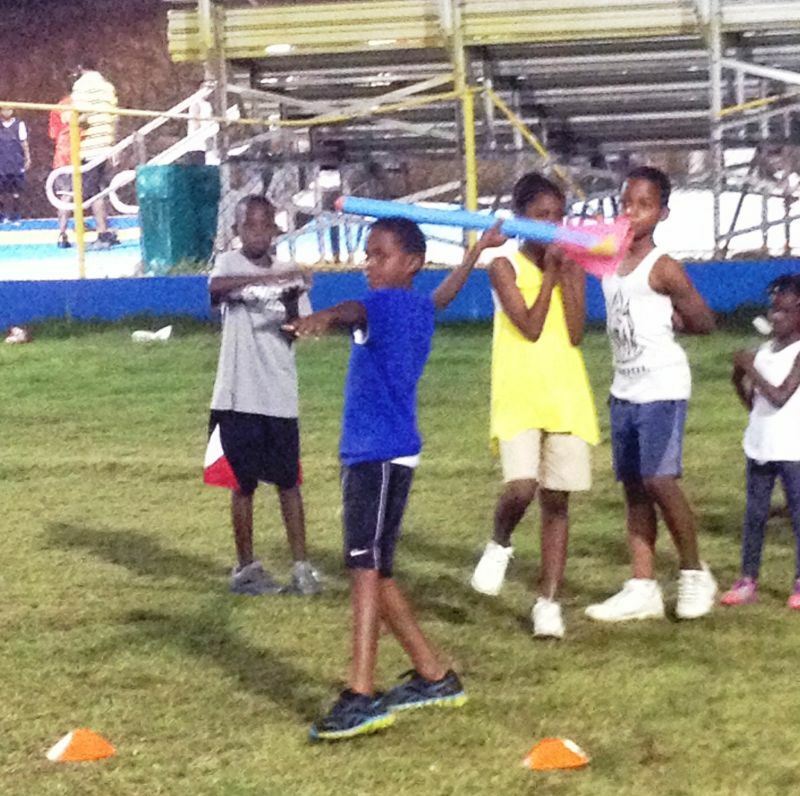 You are here: Virgin Islands News Online » News » Kiddies Christmas Camp up & running! This is according to co-organisers, BVIAA Vice-President, Steve Augustine and BVIAA General Secretary, Delva Thomas, who have been impressed with the early participation and new talent on show. 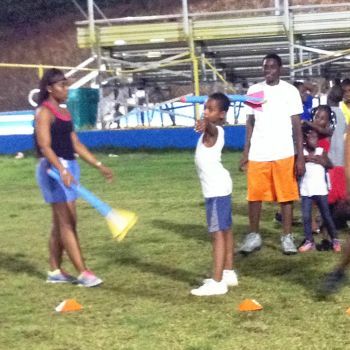 Despite the unpredictable weather crossing the Territory, the camp based on the Greenlands Field has seen youngsters given the chance to experience Track and Field events for the first time in a safe and fun modified format and forms part of a World Wide Programme designed to increase involvement and awareness of the many different disciplines available to encourage and excite youngsters. The camp, which costs $35 and runs from 5-6:30 P.M., targets children 4-14 years, noted association Vice President Steve Augustine- an IAAF Certified course instructor who is spearheading the programme. Children can be dropped off at 4:45 P.M. and collected by 6:45 P.M.